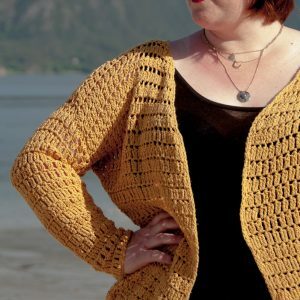 The crochet Everyday Cable Cardigan is a great cardigan with a classical look. 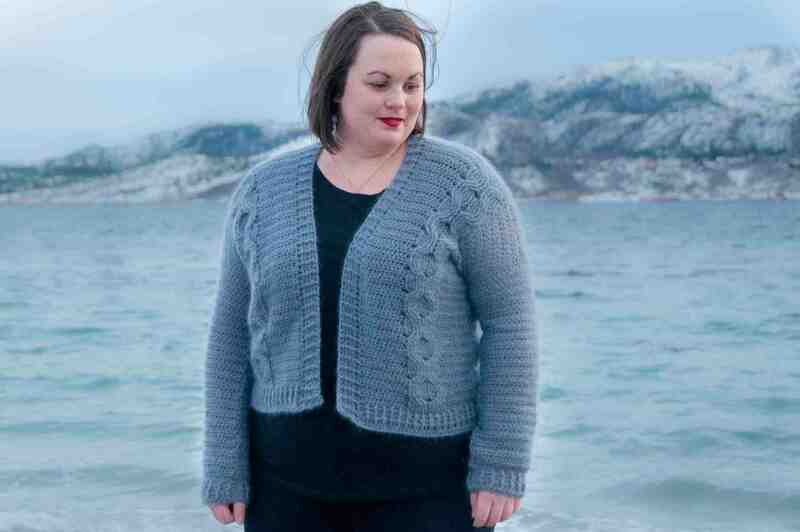 The cardigan is slightly cropped, but there’s size adjustments included on how to adjust the length. 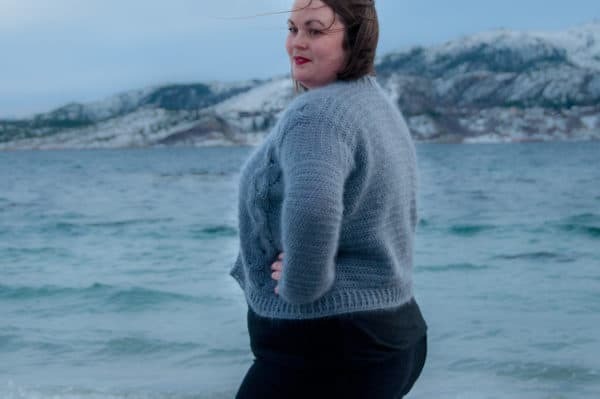 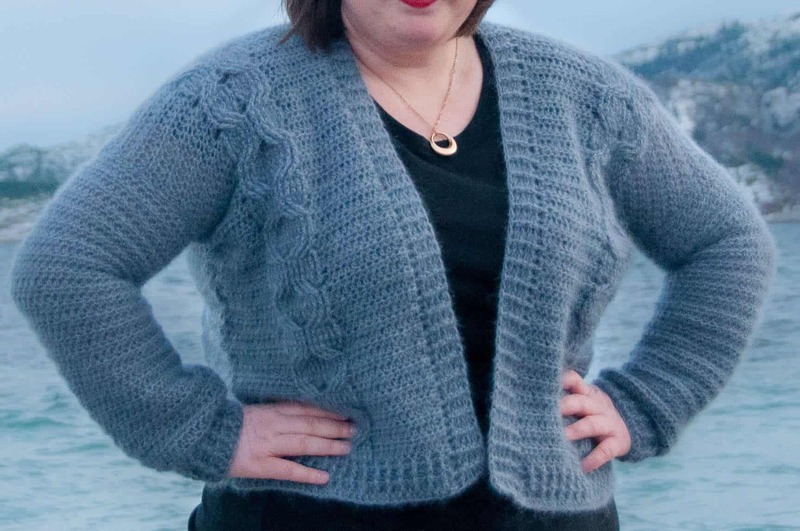 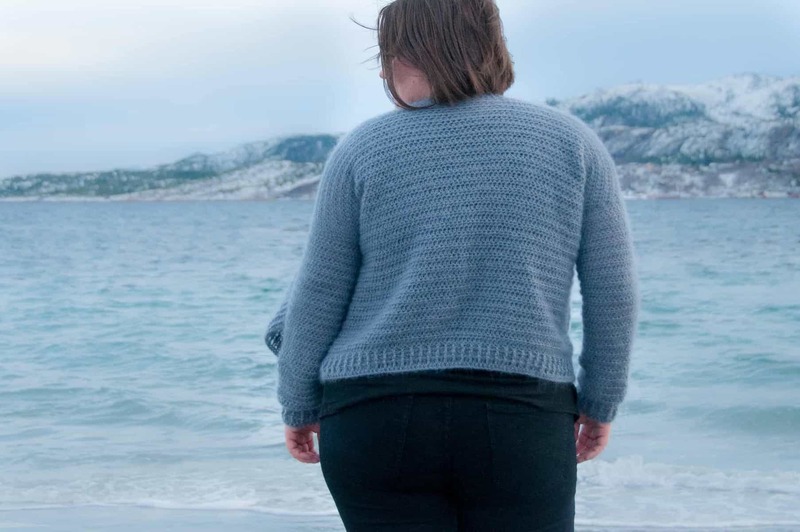 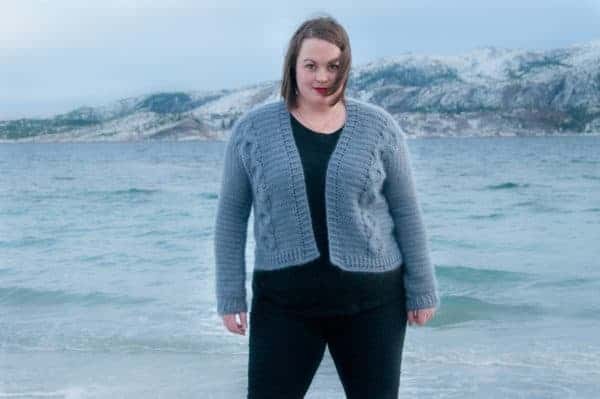 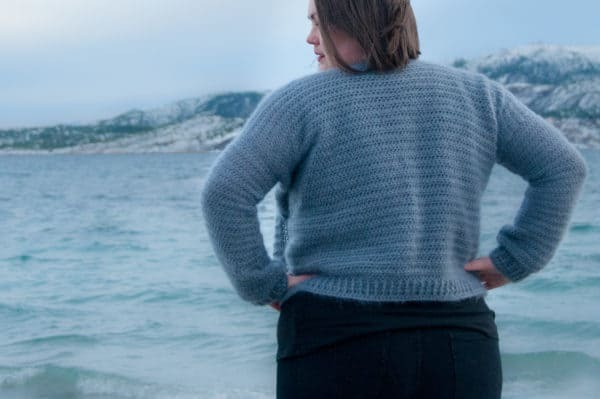 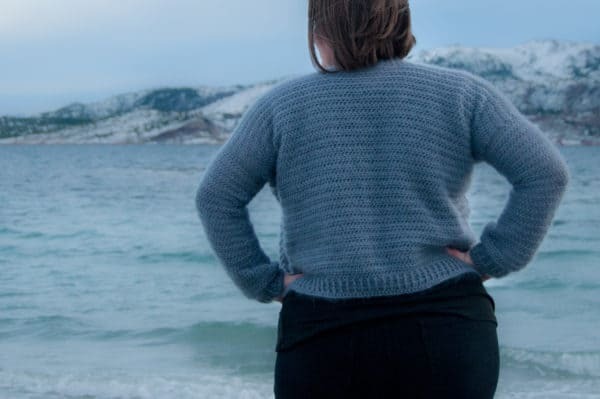 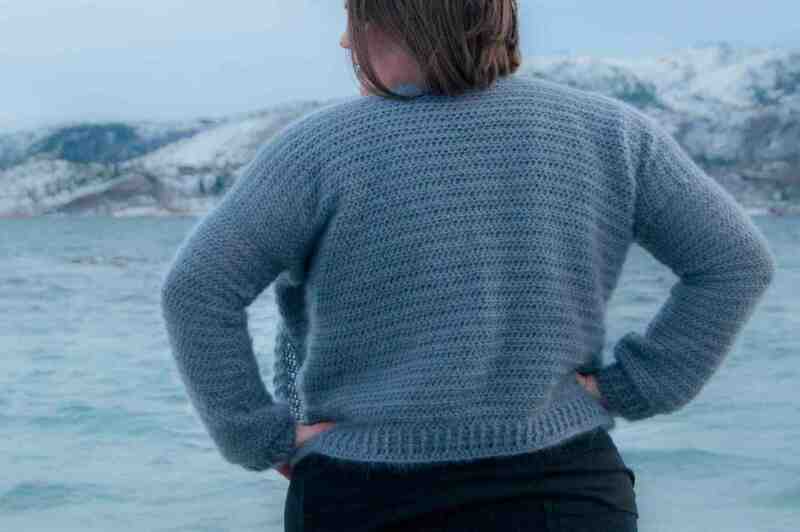 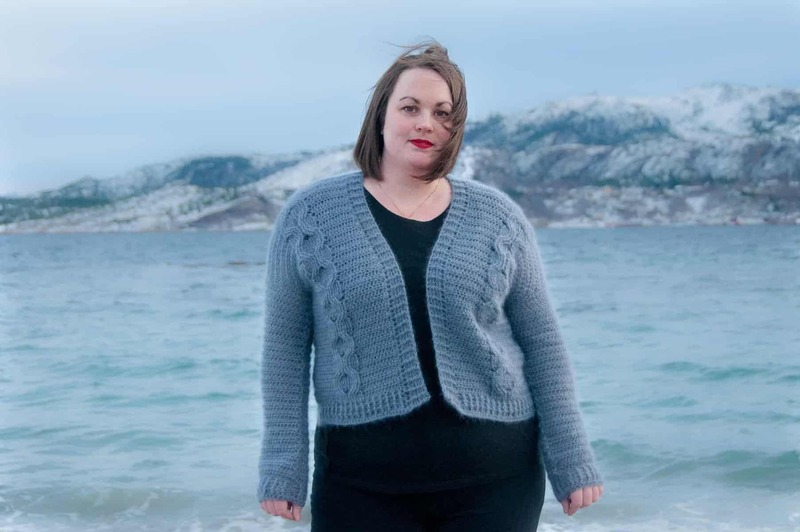 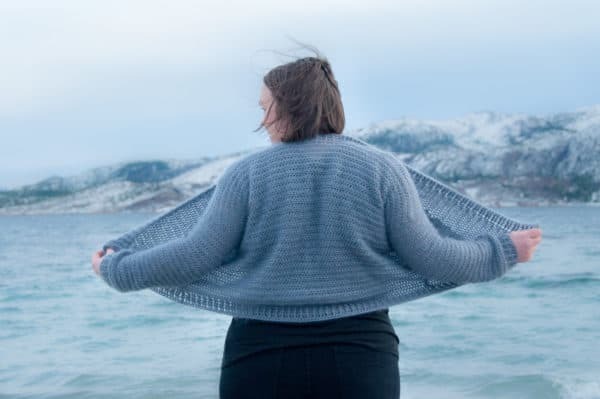 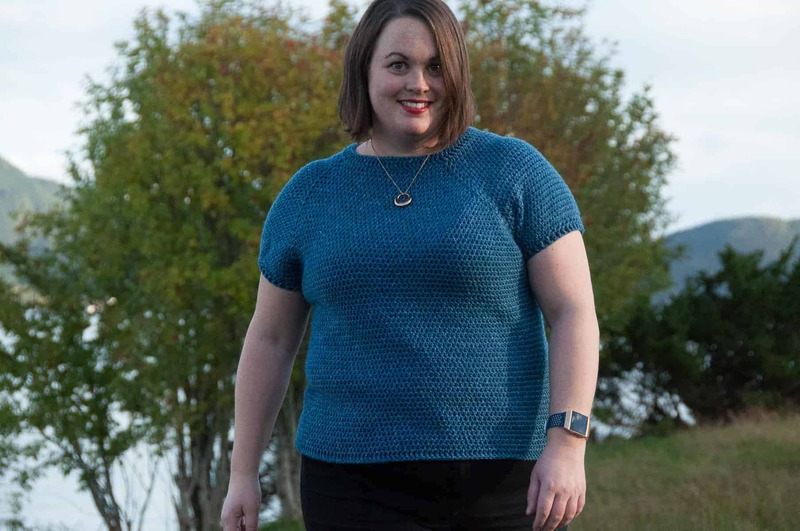 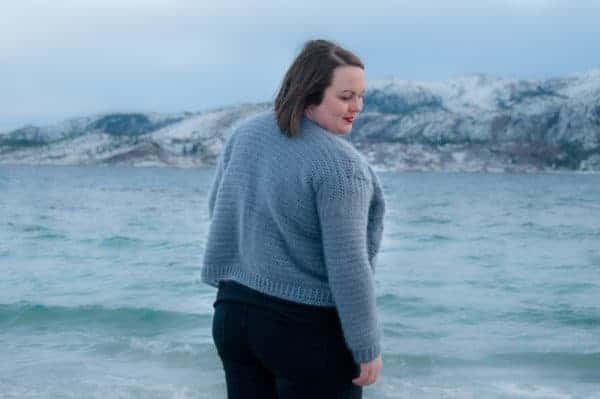 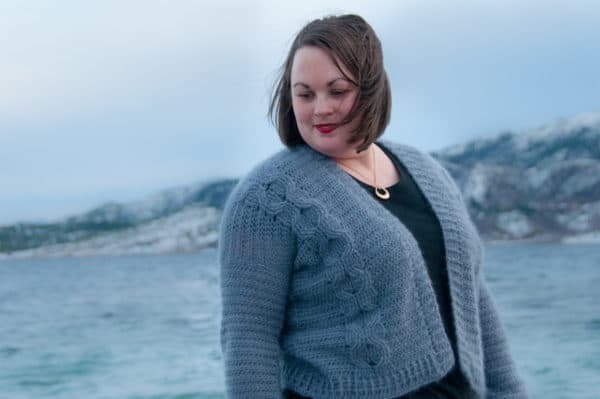 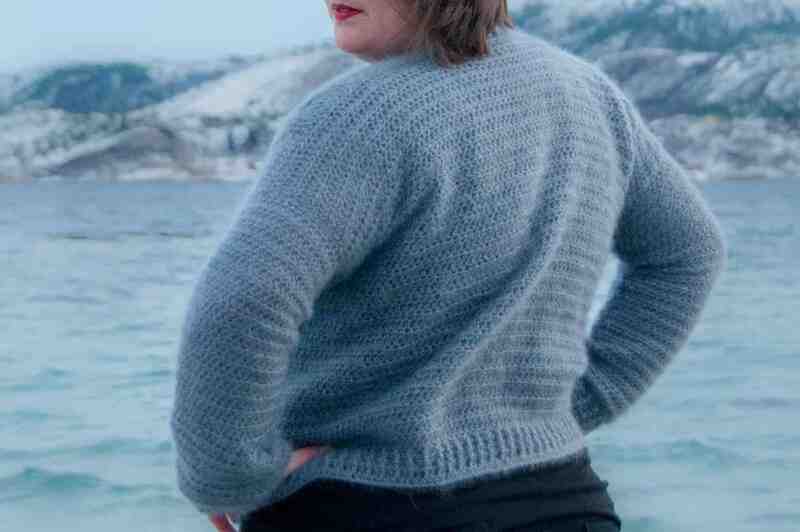 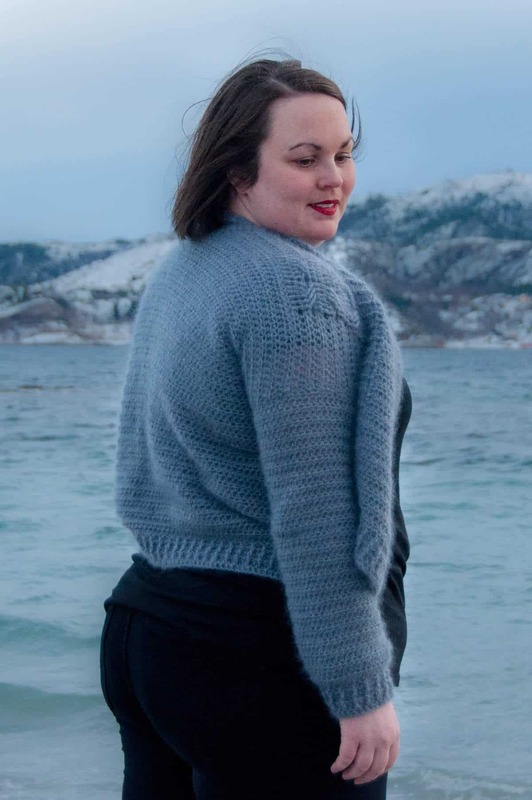 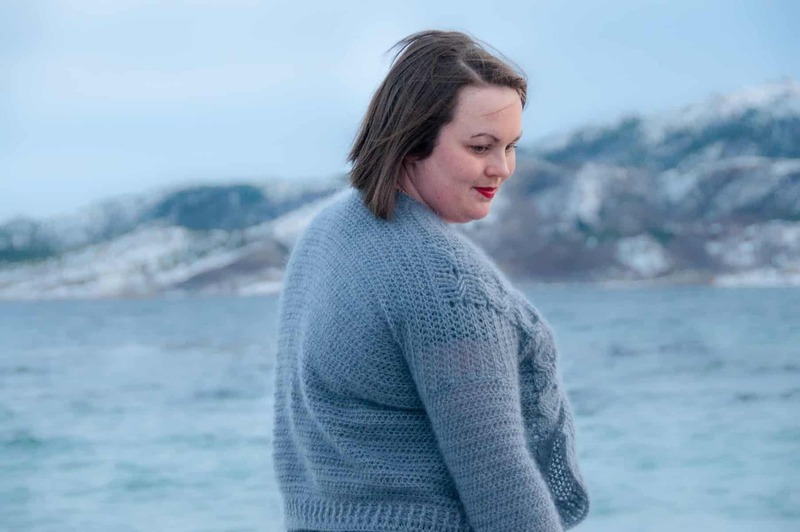 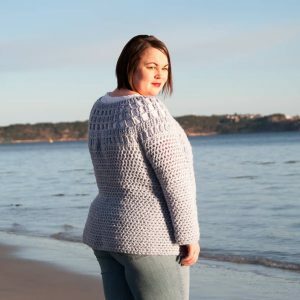 The cardigan crochet pattern also includes 9 sizes from XS to 5XL. 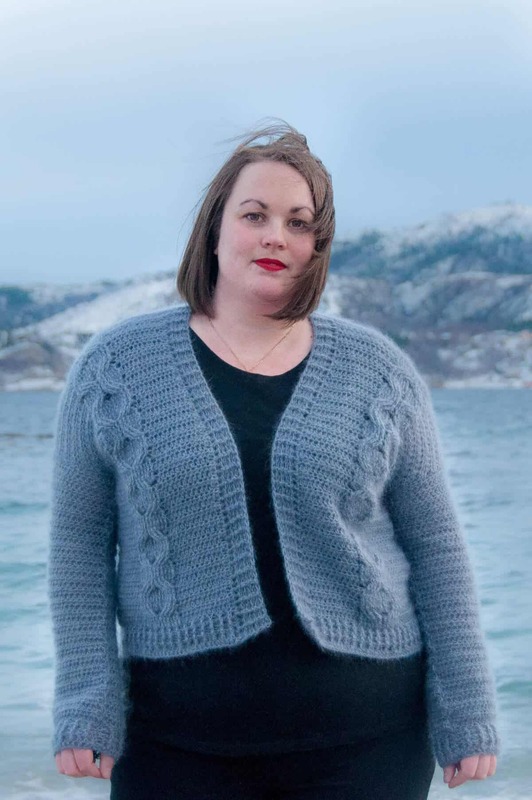 Wear the beautiful crochet Everyday Cable cardigan with jeans or maybe a high waist skirt. 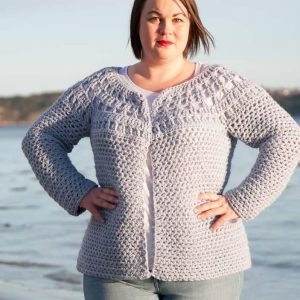 Finally, this is a great introduction to crocheting cables, as the pattern otherwise is has basic crochet stitches & just 1 row of increases. 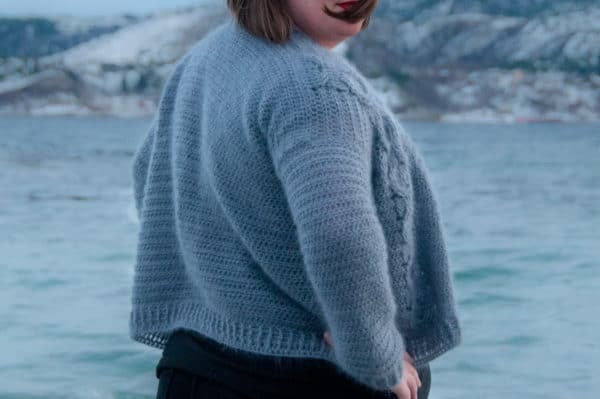 ☆ Gauge ☆ Pictures ☆ Sizing & measurements (inches & metric) ☆ Instructions ☆ & a bunch more details! 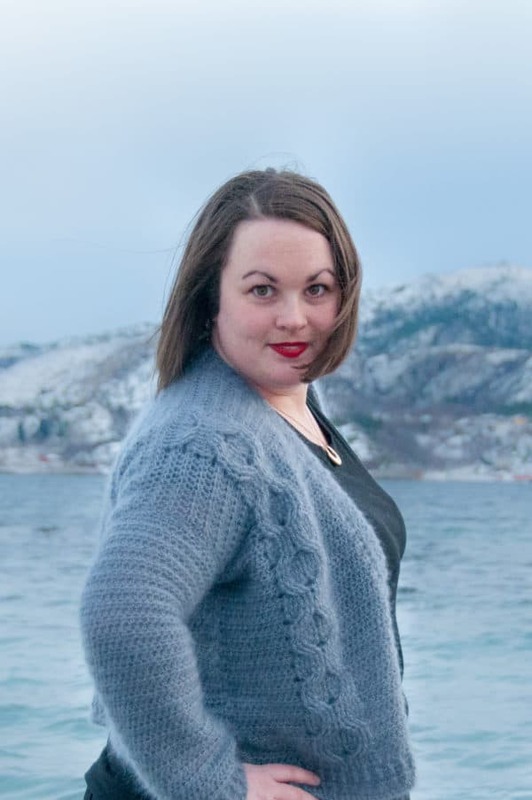 ★ Also included: Follow up by email in case you need any help. 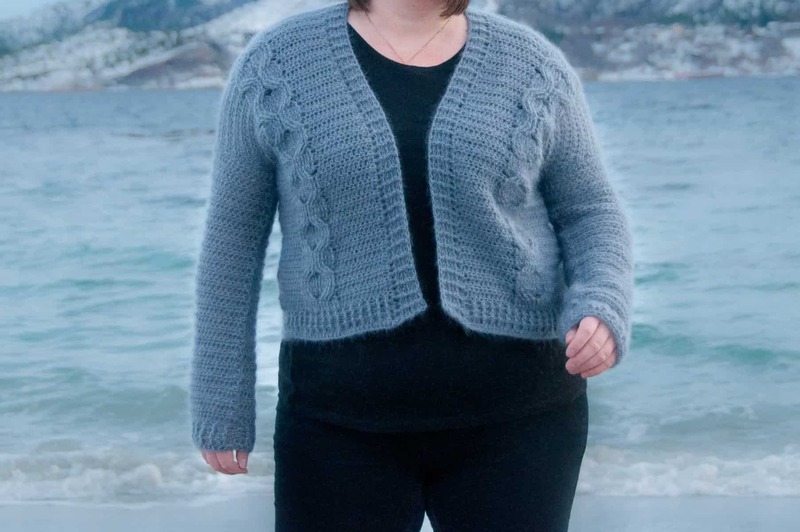 Hobbii Yarn – Kid Silk in color Slate Grey. 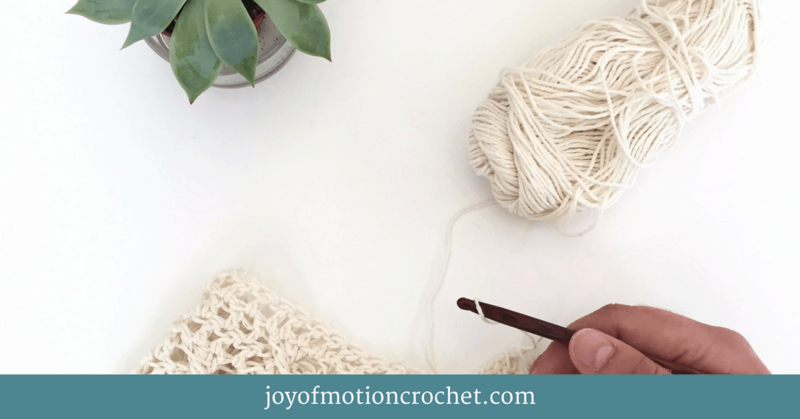 * Worked with 2 strands of yarn at a time, amount above is the total amount needed. 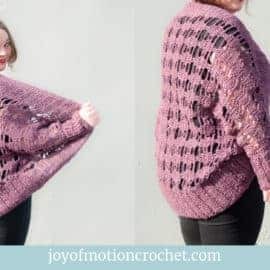 This crochet pattern is designed by me, Janne, owner of Joy of Motion. 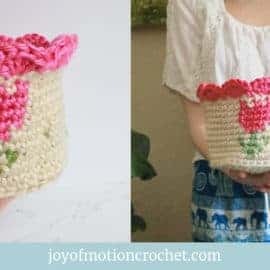 I design crochet patterns & share them with the world by selling them online. 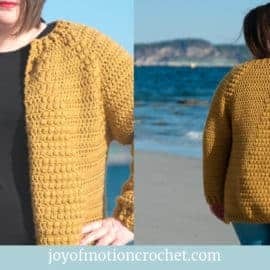 I designed my first crochet pattern in 2011 & now I’m hooked. 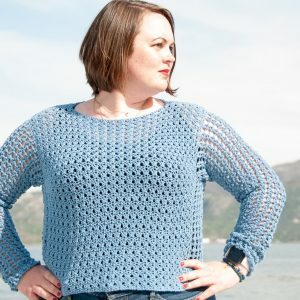 Finally, all my crochet patterns are made from my own ideas & inspiration. As a result of my creativity I really love trying something new. 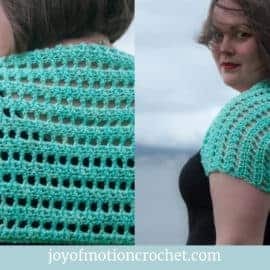 All my crochet patterns can be used to produce & sell handmade, however you are required to let Joy of Motion know & credit Joy of Motion as the designer. 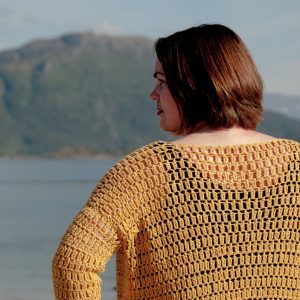 Finally, you can not resell the pattern as your own.